The city reflects a considerable exchange of influences on the development of art and architecture, particularly in brick Gothic, which is characteristic of northern Europe and the Baltic. This architecture strongly determines the character of the historic center of the city. The 1th-century city walls marked the boundaries of the medieval city. Although the walls themselves are lost today, they remain clearly visible, emphasized by the four surviving gates, the ramparts and one of the defense water towers. The medieval street pattern, with main roads leading towards the important public squares, has mostly been preserved, as well as the network of canals which, once used for mercantile traffic, played an important role in the development of the city. 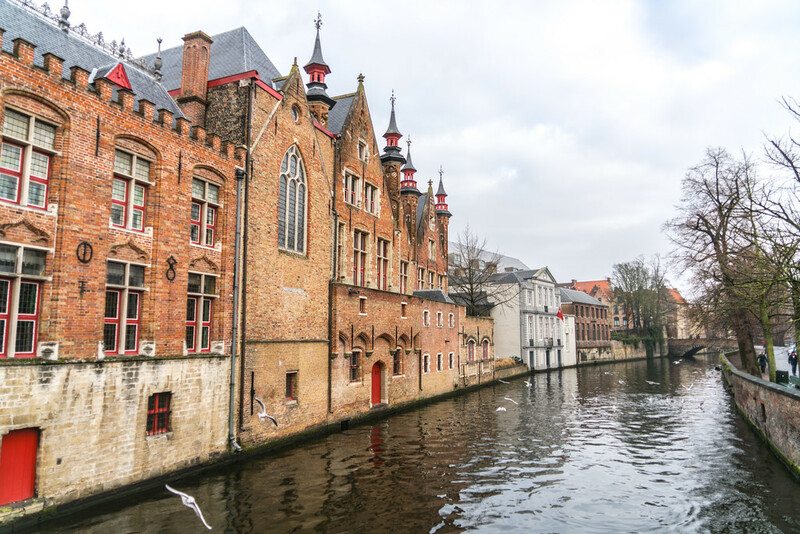 In the 15th century, Brugge was the cradle of the Flemish Primitives and a center of patronage and painting development for artists such as Jan van Eyck and Hans Memling. Many of their works were exported and influenced painting styles all over Europe. Exceptionally important collections have remained in the city until today. Brugge is a quaint Dutch-speaking Belgian town which has become very popular since the release of the movie “In Brugge”. It is an easy day trip from Brussels. It is one of the most popular tourist destinations in Belgium. The historic center of Brugge is a cultural site listed as one of Belgium’s UNESCO World Heritage Sites. It is the capital of the West Flanders province within the Flemish region of Belgium. The city center comprises this world heritage property, which is oval in shape and covers up to 430 hectares in land area. 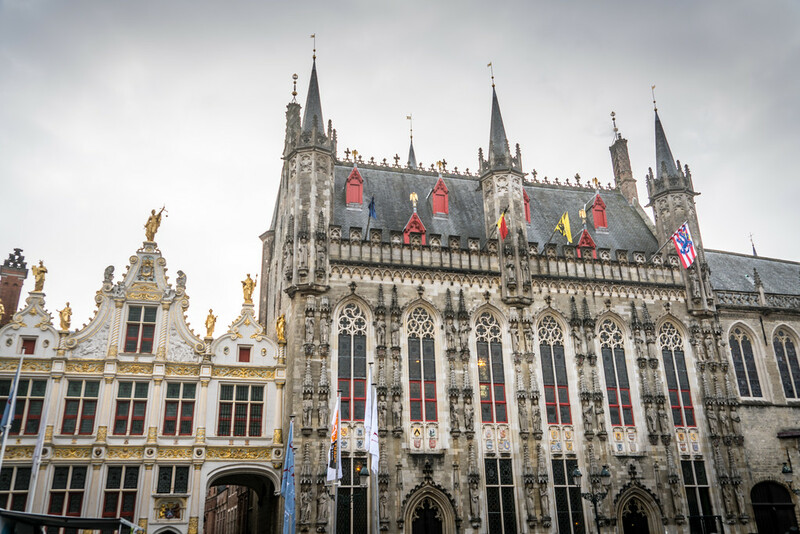 The history of Brugge as a trade center dates back to the 13th and 15th centuries. This is where traders from the Hanseatic region would converge and do their trade activity. Walking through the stone streets of Brugge Is like walking back in time to the Golden Age of the city. The historic center of Brugge is essentially a medieval town wherein you can find many Gothic brick structures and buildings. Since it was added to the UNESCO World Heritage Sites list, it started to gain international attention. Many were mostly curious about the history of the historic center of Brugge and how it impacted most of Europe, not just Belgium. By the 13th century, Brugge became an international trading center. The city manufactured cloth at that time and many Hansean warehouses were established during that time that further fueled trade activity in the region. In fact, the city attained massive wealth at this stage in its history. As evidence of its wealth, there were many Gothic buildings that were constructed during its heyday that included churches, private dwellings and more. Most of these 13th-century buildings can still be seen in the city of Brugge today. It was also during this time when the Flemish Primitive painting school was established and flourished. There are several notable artists who emerged from this painting school such as Hans Memling and Jan van Eyck. By the 16th century, all of the wealth that Brugge had vanished. Nonetheless, it has preserved its medieval look and character that was established during its heyday. The historic center of Brugge is home to many attractions and activities. If you choose to visit, you will be able to see and do plenty of things in order to get a glimpse of its historical past and get to know the identity that shaped the city to what it is today. Many travel experts call the Markt as the nerve center of Brugge. If you want to experience the historic center of Brugge, you need to visit the Markt. This area is composed of rows of medieval buildings and horse-drawn carriages. There are also several cafes that spill out into the streets, providing you with the perfect spot to experience a little step back into history. 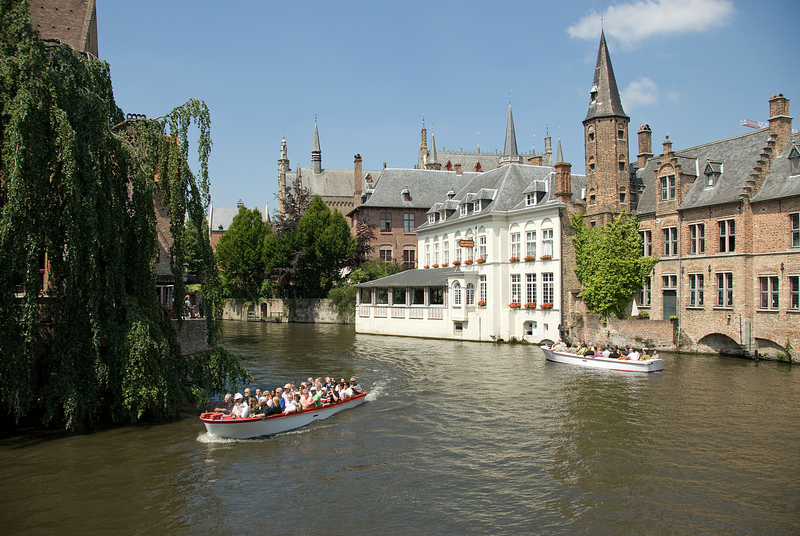 This charming canal has become part of the identity of Brugge. The name literally translates to “Lake of Love”. While touring the canal, you will find many restaurants skirting the lake, while there are also parks with walking paths and weeping willows. In the history of Brugge, there were man y breweries that populated the city. However, the De Halve Maan Brewery is the only one left standing until today. 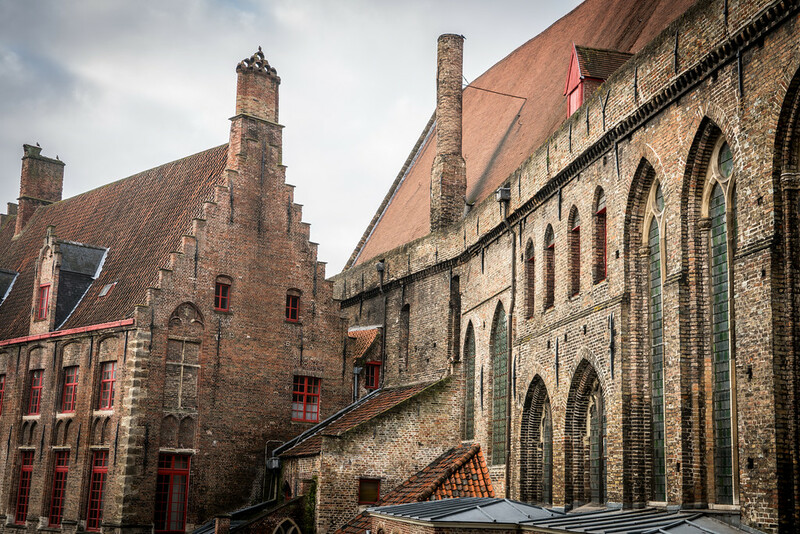 A visit to the historic center of Brugge would not be complete without touring this brewery, which has been at its original site since 1586. Make sure you explore the brewery and sample some of the beer as well. This is another icon in Brugge that visitors who want to experience the best that the city has to offer must try. Belfries are a staple of medieval cities and the era. The gothic bell tower watches over the bustling marketplace where locals and tourists alike gather around to do some shopping, dining or people watching. If you want to get a different perspective on the marketplace, you can dare to climb up the 366 steps up to the tower as well. This church was completed in the 15th century and one of the iconic structures within the historic center of Brugge. It took two centuries to finish its construction. The result of two centuries of work is a 381-foot brick spire that is the largest of its kind in the world. In fact, it is visible from miles away. There are also several artistic treasures waiting to be explored if you come inside the church, which includes “Madonna and Child” by Michaelangelo. 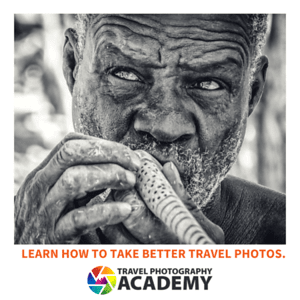 What an amazing photo! It definitely captured the culture and history of the place. I’d be passing this along to my readers.